It's a very Canadian twist to the age-old question: Why did the chicken cross the road? 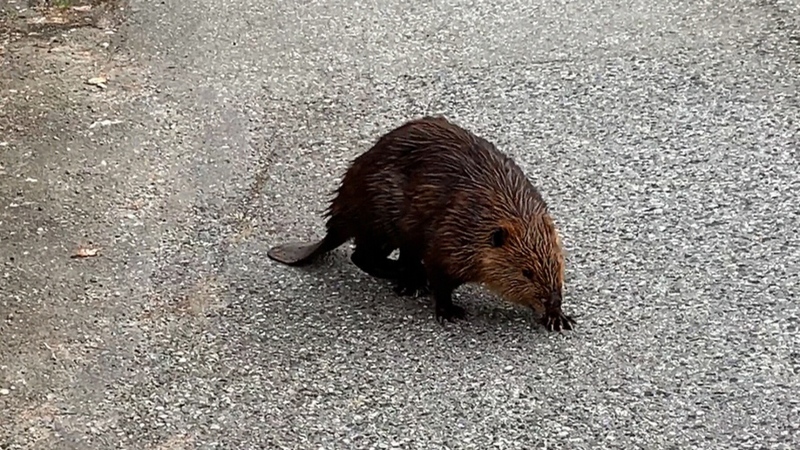 Video posted to social media shows a beaver on Vancouver's Grandview Highway near Renfrew Street. It's unclear when the footage was shot, but dozens of commenters were quick to begin speculating on where the rodent came from. "Probably wandered out form Still Creek," one person wrote. "It's been super remediated in the last few years and supports wildlife again?" Another person suspected East Vancouver's Trout Lake. Then there were those who just hoped the beaver made across the busy road unharmed. "The city is no place for you lil' dude, get back in the water!" wrote one commenter.